Gururaj was born and raised Parsotam Narshi Bhana in India. He lived most of his life beyond age 20 in Cape Town, South Africa. A brief synopsis of Gururaj’s life up to age 44 is given below under chronology. Most pertinent, to this profile, is the period in Gururaj’s life when he travelled extensively as a spiritual teacher. From age 44 until his demise, which he predicted, at age 56, he devoted himself to teaching groups of people, amounting to tens of thousands of students, the art of personalised meditation and life transforming yogas. His teaching continues in abundance through various channels in approximately 12 countries, thus far. The vast teaching contained in thousands of pages of transcribed talks and various recordings has continued, after Gururaj’s passing, because of the devotion of many of his chelas (close followers). An outstanding event surrounded his final months on Earth. An astonishingly bright star was seen in the sky, which occurrence was a total amazement to astronomers, coinciding with Gururaj’s last suppers (as the event was referred to afterwards). Gururaj was holding a 10 day retreat, a spiritual holiday – the only event of its kind ever held, in Cyprus during February 1987. Every supper was shared with all those gathered there with him. It was the only time Gururaj or any of those with him had ever been to Cyprus. The venue, in Limassol, was chosen randomly. Gururaj was sharing with his close ones a resume of what he had taught because (he stated) his demise was upcoming and he wanted to spend time with the chelas in a family farewell, so to speak, ensuring that his followers were ready and able to continue his work. One of the facts he told the group was that he would not return to this planet again for 6,000 years. He also spoke of a catastrophe that would occur between 2020 and 2050 if the people of this planet did not turn away from gross materiality to more spirituality. Remember this was in 1987, which was long before any of the international troubles, that started in the 2000 to 2010 decade, were in view. During the interactive talks Gururaj was holding, on 24th February 1987, the brightest stellar explosion of modern times Super Nova SN1987A appeared over Cyprus. The biblical connotations are obvious. Not surprisingly the occurrence was hailed by some as confirmation of the avatar status that had been rumoured about Gururaj for many years. At various times, surrounded by some of his followers in total silence, Gururaj would enter the (highest) state of consciousness, known as Nirvikalpa Samadhi, for considerable periods of time. This is the highest state of consciousness a human being, or any entity in any sphere of being, can attain. In this state of consciousness one gains the experience of the oneness of existence, which always has been existent and always will be. Very few humans can achieve this but it is well documented to have been achievable by Avatars. Thus the avatar status of Gururaj gained more and more credence. Even before he had given the first explanation of the Samahdi experience, several people in his audiences stated that during the Samadhi sessions they had seen the face of Buddha, Jesus, Lao Tse and other renowned masters from the past. This continued on and off for several years. 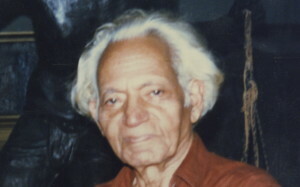 Gururaj was a prolific poet. The following poem by him was not published until after his death and was not seen by most of his chelas while he was alive. This has also been lauded as a signal that the life of Gururaj was a reincarnation of (various, or one of the) great masters. You’ll find only that in your mind’s composed metre. It is not difficult to imagine, given the above detail, after Gururaj’s passing in May 1988, there was a very strong interest in his work and quite a number of individuals were prepared to devote a lot of their time continuing it. Consequently almost every word he spoke in over 1500 (unprepared) talks has been transcribed and much of this material has been published. Also continuing is the training of meditation using unique personally prescribed techniques established by Gururaj in the western world. This method is highly acclaimed throughout the world by hundreds of thousands of meditators. The number taught is expected to swell to millions within the next few decades. 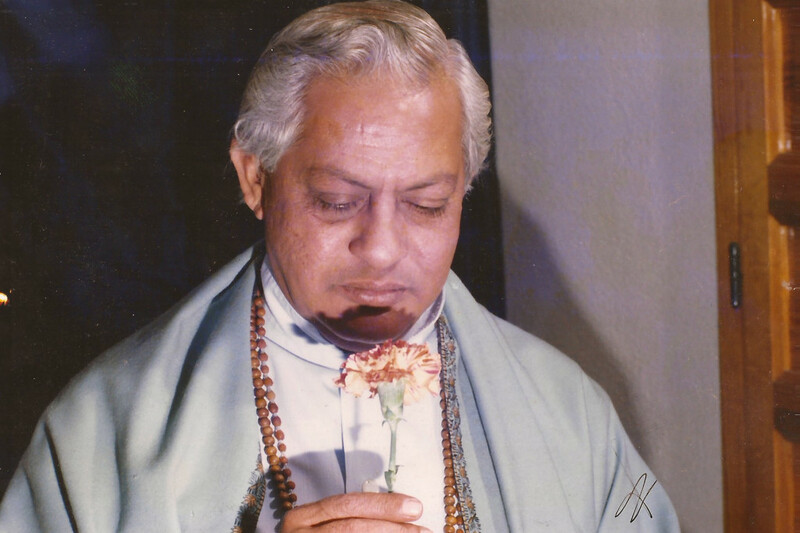 Gururaj Ananda Yogi was born on 3rd March 1932 as Parsotam Narshi Bhana in the province of Gujarat in India. As a child he displayed a remarkably advanced spiritual consciousness. At age 3, his questions were consistently about the meaning and purpose of life. He wanted to experience the ‘godhead’ and at age 5 he ran away from home seeking to find it. He visited many temples and holy men. His frantic parents finally found him ragged and barefoot wandering through a village street. When questioned, he explained that he went to as many temples as possible, but that “the gods were lifeless and would not speak to me”. His life between the ages of 5 and 15 was in most respects quite normal for a child in his Indian culture. The one exception to this was his continuing overwhelming, intense desire to directly experience a “reality” far greater than his limited consciousness. This led him to the reading of many religious scriptures and books on philosophy. His highly developed intuition made him more and more aware that what he sought actually lay within himself, and within all human beings. He came across many names for this greater “Reality” within. Some spoke of the “Kingdom of Heaven Within”, or the “Divine Spark Within”; others spoke of the “Universal Mind”, or the “Real Self”. The Western psychologist Carl Jung spoke of the “Collective Unconscious” and various Western philosophers spoke of the “Superconscious Mind”. He knew that this area of “Superconscious Awareness” lay deeply buried beneath layers of conditioning in the subconscious mind. He intuitively sensed that if he could somehow penetrate these opaque strata of subconscious conditioning, the answers to all the anguished questionings of his conscious mind would be forthcoming. His education and various encounters with gurus and wise sages told him that one of the classical methods for penetrating to this greater reality was through meditation. But what kind of meditation? Practised in what way and for how long? He could not answer these questions himself and he knew therefore that he required a teacher. This raised yet another question: Which teacher? There were many teachers professing to impart spiritual knowledge and practices in his native Indian culture. He knew that the teacher must be right for him, must truly possess the knowledge and the spiritual force to be able to lead him step by step on his inward journey towards the conscious experience of the Superconscious Self. His search was rewarded when, in his late teens, after visiting many ashrams and gurus, in a monastery near Almora in the Himalayas he found the guru he had long sought – Swami Pavitrananda. Gururaj was led by him step by step through the illusory veils of the conditioned conscious and subconscious mind towards the Superconscious Self. After a period of intensive and careful preparation under the direction of Pavitrananda, Gururaj reached the critical point in his development where he was ready for the breakthrough into full illumination. Gururaj stated that “for some time my meditations had been very deep and I knew that I was ready for the experience of Nirvikalpa Samadhi”. [Nirvikalpa Samadhi: The state of consciousness in which there is a permanent, fully opened channel between the conscious and superconscious mind]. Then on a hot afternoon the long-awaited experience arrived. 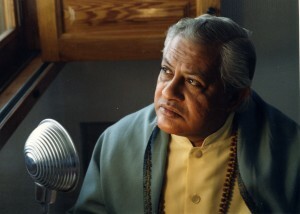 In Gururaj’s own words: “Pavitrananda casually summoned me to meditate with him. In Pavitrananda’s presence I slipped almost immediately into a profound meditation. I merged into a state of blissful consciousness far beyond the realms of space and time”. It was a state of “joyful, eternal freedom, of immense peacefulness and yet vast power, transcending all the limitations and conditionings of my mind”. He knew with certainty, beyond the possibility of description, that “what I was experiencing was in fact my Real Self”. It was totally clear that “my mind, my body, my personality were only reflections and expressions of this real and true Nature”. He said, “when I surfaced from meditation two hours had gone by – but it could have been two minutes, so far had I been from ordinary time. When I opened my eyes, everything around me was covered in gold”. He could perceive with total, immediate certainty, not as a mental concept but as a living experience, that “everything around me – myself included – as simply dancing, vibrating patterns of energy. I just knew that I was the very same joyous, unbounded energy as everything and everyone around me – indeed of all of creation”. It was as if “my consciousness was their consciousness and their consciousness was mine”. 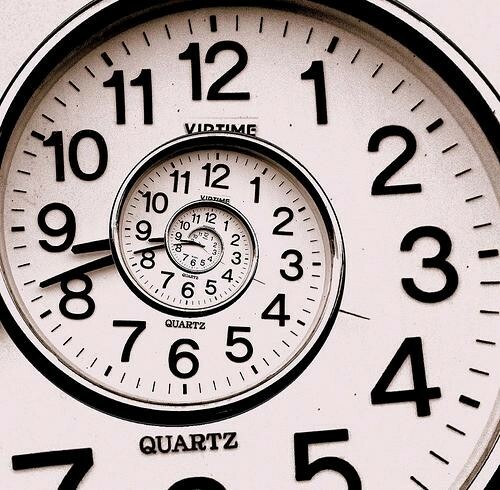 At the same time it was “as if we were all part of a vast, infinitely larger consciousness”. He also stated, “No words could even begin to describe the full reality of that experience” “one must just have the experience to know”. Indeed, according to Gururaj, a person might follow a path without any of the usual religious or spiritual connotations. Perhaps they might be involved in a system of Western transpersonal psychology, such as that of Carl Jung’s. Or one might be a practical person, immersed in the responsibilities of daily life, with very little time or concern for religious, philosophical or psychological theories. For this, according to Gururaj, “was a matter of direct personal experience – not of beliefs, philosophies or life”. According to Gururaj, what was of crucial importance was a “sincere striving to reach beyond the limits of the petty ego, the small conditioned mind, to a larger Reality”. Whatever the path, one must follow it with real commitment and sincerity. If the sincerity and depth of commitment were there, then it was obvious to Gururaj from his own experience with Pavitrananda that a programme of proper meditation and self-help could also be of immense use, even invaluable. Many such understandings and realisations emerged as the immediate aftermath of the youth’s enlightenment experience. But most important to him was the constant, deeply joyful fulfilment of a fully realised consciousness; he felt that there was absolutely nothing the world could offer him that would bring greater happiness or satisfaction than he already possessed. As a result, he began to entertain the idea of living a peaceful, reclusive life as a monk in some secluded Himalayan cave. However, it was not to be so. Pavitrananda insisted that Gururaj immerse himself in the world. He was to become a householder and to thrust himself into the complex, dynamic, vital civilisation of the Western world. He was to know directly – by personal experience – the pleasures and pains, the joys and sorrows, the problems and solutions, the creativity and the fulfilment to be found in a full, active participation in the world. Having gained this practical experience, he could be far more useful to active Western people when one day he began his work as a Spiritual Teacher. For it was his destiny to provide instruction and guidance – through meditation and self-help programmes to many people in the modern Western world. Thus it was necessary that he should marry, raise a family, and live and work in the West. In order to prepare himself for these responsibilities, he studied English and the practical subjects of commerce and accountancy. In his early 20’s, having completed his studies, he sensed that the time was right for him to move to the West. He emigrated from India to South Africa. The choice of South Africa was largely dictated by the ease of immigration asGururaj and his father had lived in South Africa for three years when he was a child, thereby establishing rights of residency. In South Africa he entered a business career. To pursue a career in business successfully in the highly competitive modern business community inevitably requires much dedication, energy and creativity. In view of this, it must be understood that the Superconscious Mind is a virtually unlimited resource of energy and creative intuition. Having attained the self-realised state, Gururaj had constant and far reaching access to this immense inner resource. Consequently, he possessed a phenomenal energy level and a highly developed intuitive mind. This intuition – a kind of creative “sixth sense” – would guide him with an almost unerring accuracy in making the immense number of practical, daily decisions that modern business demands. His energy was such that he required only 2 or 3 hours of sleep per night. This enabled him to work 14-16 hours per day and still fulfil his many other responsibilities and interests. With such inner resources of creativity and energy, it was inevitable that he was very successful in his business career. Within a remarkably short-time he became the director of a number of companies. In accordance with this principle, Gururaj always used a sizeable portion of his business earnings – and much of his personal time – to further various spiritual or community projects. He was a major contributor in terms of time, energy and money to the founding of an Indian cultural society in Cape Town, South Africa – a major accomplishment for the Indian community there. Business and community projects did not occupy all of his time or seemingly endless fund of energy for he married and raised a family. To anyone who came to know Gururaj well, it was very evident that he had a deep and sincere devotion to his family. In spite of an extremely full schedule of activities and responsibilities, he always gave much time and love to the care and upbringing of his children. He had warmth and an intuitive way with children that was quite magical to witness. Gururaj’s ability to relate to children indicates a certain highly sensitive aspect of his personality. The outward, creative expression of this sensitivity (combined with the full access to the Superconscious) is found in yet another dimension of this multidimensional man – for Gururaj was a remarkably gifted poet. 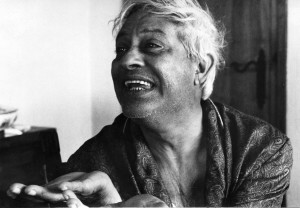 Gururaj used poetry as an expressivemedium for his inner realisations. He began writing poetry in his early adolescence, and had already received several awards in India by the age of 20. In fact, critics have favourably compared his work with Tagore’s. One of his beautiful poems, STILLNESS OF ETERNITY, is included here. This poem – as with all of his poetry – was written quickly and spontaneously, seemingly flowing directly from the Superconscious Self to his pen, entirely bypassing the analytical intelligence of the conscious mind. By ordinary standards, to be a poet, a musician, a successful businessman, a community leader and a devoted family man would constitute a full life; it was certainly the fulfilment ofPavitrananda’s injunctions to “immerse himself in the world”. But it must be remembered that Pavitrananda’s instructions to him were for a purpose. His active life in the Western world was to prepare him well for a time when he, as a Spiritual Teacher, would help guide other active, Western people toward self-realisation. 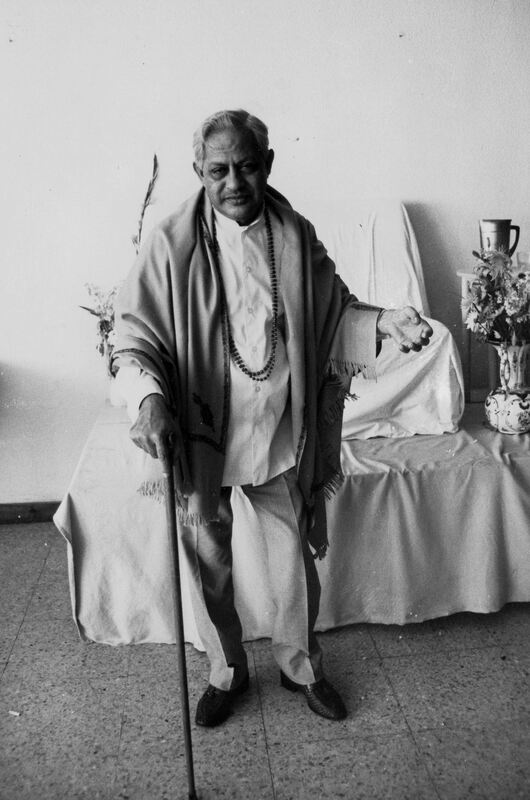 For this, in Gururaj’s own words, “had been in the back of my mind all of those years, ever since my meeting with Pavitrananda.” Over the years, Gururaj became increasingly impressed with the central importance of meditation as a means of gradually acquiring access to the Superconscious Self. It also became clear that each person is a unique individual. Therefore in order to be fully effective, the meditation practice given to each person must be right for him as an individual. It must fit into one’s individual life style as a whole, enhancing every area of life, work, marriage, personal relationships, etc. – in the path one has chosen. He evolved a method of selecting meditation practices that would meet the unique mental, physical, emotional and spiritual needs of each person. This method is based on ancient tradition, adapted for the ordinary householder who is seeking to improve their life in practical ways by utilising subtle energy from finer dimensions. Advanced practices are included for those who wish to deepen their experience. In 1975 Gururaj completed the business phase of his life. He continued to live in Capetown with his family, and took the vow of fulltime service to humanity. Thus the remainder of his life was devoted to helping people throughout the world in their spiritual quests for self-realisation. To this end, Gururaj, together with other like-minded people in several countries, founded the International Foundation for Spiritual Unfoldment. Within just one year, individuals in nine different countries started national branches of the International Foundation for Spiritual Unfoldment (IFSU) to help make such meditation practices easily available to all individuals who might desire them. There is an important point regarding Gururaj and his life and work which must be made very clear. According to Gururaj, “the purpose of the external guru is to help awaken the internal guru within each person. Therefore my work is to guide people in learning how to experience their own inner guide, to awaken them to an awareness of their own greater self. When this is accomplished, my guidance is no longer required, for each person becomes a guru unto himself”. Thus Gururaj wanted all to know that he was just an ordinary human being, different from most individuals only in the fact that he had walked the spiritual path to the goal which the great majority of people are still striving to reach – thus enabling him to be useful as a guide. He repeatedly said that what he has attained, in his spiritual quest, all other human beings can also attain.In accordance with this understanding, he insisted that he be treated as an ordinary human being with no more fuss or reverence than the dignity required by any person, and that IFSU in no way become a “cult of the guru”. Gururaj’s prime concern was to see IFSU become a worldwide fellowship of individuals on the path to fulfilment and self- realisation. Meditation teaching groups affiliated to IFSU evolved in England (British Meditation Society), Ireland, Spain (Sociedad Española de Meditación, USA (American Meditation Society), Canada (Canadian Meditation Society), Denmark (Dansk Meditations Samfund), Germany, Israel and South Africa. Various of these organisations hosted public talks, personal interviews, workshops and residential retreats centred around Gururaj, who then spent more than half his life away from home advancing the spread of his teaching. Gururaj’s health deteriorated from about 1984 onwards. Nevertheless he would always manage to get to residential retreats and tours, mainly in England, America, Canada and Spain throughout his final years. Sometimes he was so exhausted he would become unconscious for days on end. But he would not allow himself to be hospitalised. He would bounce back from each bout of illness like a spring lamb, to the amazement of everyone, declaring that he would serve mankind until his demise. Nevertheless his periods of good health became shorter. He died at his home in Cape Town on 17th May 1988 just days after returning from a tour of teaching on both sides of the Atlantic. After Gururaj’s passing a little disharmony set in for a while between some of his leading chelas because he had (apparently, it was revealed after his passing) made different statements to individuals close to him, which caused some conflict. Most chelas did not want one among them to become a family leader, on the organisational front, because Gururaj had repeatedly said openly that every chela who had the determination to do so should do whatever he/she wished to do in order to promote his teachings to humankind. The outcome of the petty disagreements was seemingly a good one. Five new organisations quickly got started -in England (Iuna Meditation), Spain (Camino Real), Canada and Denmark (Universel Meditation)- to add to the seven already existent. Several more started in the following decade. More will undoubtedly develop. Because of the strong connections established between Gururaj’s chelas when he was alive, the strength of their bonds overcame the petty disagreements that had arisen and all the societies (etc. ), old ones and new ones, have to date established continued positive, productive, communication between them. This has helped expand the teaching throughout the world. This all seems to be panning out in accordance with Gururaj’s edicts: a) that each should follow their own path; each has their own skills in a work sense, b) that an individual in business on their own account is a supreme self-responsibility opportunity and benefit is gained from the growth opportunities, c) that an individual will put more effort into their own show than someone else’s and d) one organisation growing too large is not good in respect of fairness because of the unnecessary power that inevitably ensues. In short, a great master has been in our presence. The love and spiritual energy radiating from this man, which was impossible to adequately describe during his life, is being transmitted to the world and is undoubtedly felt by those coming to his teaching decades after his demise.